Thomas Balland is the Managing Director of IPSA, an independent asset management company based in Paris, France. He has invested in and serves on the boards of CMC Biologics, EyeGate, SpineGuard, SymbioFCell and Traqueur. He was also on the boards of Aupeo (sold to Panasonic in 2013), gate5 (acquired by Nokia in 2006), Immutep (sold to Prima Biomed in 2014), Ingen Biosciences (acquired by Diaxonhit in 2012), NavX (sold to OPIS in 2015) and Technolas Perfect Vision (acquired by Bausch + Lomb in 2013). He was also actively involved with BioVex (acquired by Amgen in 2011), Digiplug (sold to Faith in 2002), Paion (listed on the Frankfurt stock exchange in 2005) and ProStrakan (listed on the LSE in 2007, subsequently acquired by Kirin in 2011). Thomas Balland has 15 years of venture capital investment experience. Prior to joining IPSA in 2002, he held various positions with firms such as Mars Inc., Up&Up and Vivendi. He received dual degrees in engineering and finance from INSA Lyon and ESCP-EAP respectively. From 2005 to 2011, Florian Bankoley covered different roles at Bosch in China, Sweden and Stuttgart. In 2011, he moved to Berlin, where he serves as Managing Director of Mobility Media GmbH, a subsidiary of the Bosch Group providing innovative solutions for connected mobility. Mobility Media’s focus is on an online ecosystem for car drivers, www.drivelog.com, offering intelligent online tools, apps and platforms to make the drivers’ life easier. Furthermore, the company builds integrated, interactive systems for eBike, including the riders interface, the apps and an online platform. The management of Mobility Media GmbH consists of experienced automotive and online experts. On the one hand, Mobility Media benefits from the network and resources of the Bosch Group; on the other hand, it follows the rules and processes of a startup, and is lean and flexible in order to match the digital environment. Gitte Bedford is Vice President at Robert Bosch Venture Capital GmbH. RBVC invests in early to expansion-stage tech startups, either directly or via VC funds on a worldwide basis. Gitte Bedford has been working at Bosch since 1995, starting in corporate treasury and progressing to Managing Director of Robert Bosch Finance Plc (UK) and Director Finance for Bosch´s Asia-Pacific operations (China). Having joined Bosch´s VC in 2009, she is now in charge of the evaluation and execution of investments in a variety of fields, with a special focus on software – specifically IoT, Cloud and Mobile Computing, Security and Data Analytics. Gitte Bedford is a financial executive with a solid background and wide international experience, holding high-responsibility positions with a full command of her analytical skills. Dr. Dan Belc is a graduate of Georgia Tech (MS-EE), Florida State University (PhD/EE) and Nova SE University (Int’l MBA) and his research focus and interests have always been in the area of wireless and telecom systems, specifically in encoding, encryption and filtering. Over the years, Dr Belc has been an invited speaker to numerous conferences and technical events, and had published numerous papers. He is currently responsible for the Yageo’s Europe Wireless Group, and had previously worked for Motorola, and Siemens/IFX in different technical, or technical marketing positions. Peter Bihr is the founder of The Waving Cat GmbH, where he explores the impact of emerging technologies and helps apply the insights of innovators through consulting and conferences. As a strategy advisor, he helps organizations large and small excel in an environment shaped by digitization, connectedness and rapid change. He has co-founded and chaired many acclaimed emerging technology conferences including ThingsCon, UIKonf and Cognitive Cities Conference, and serves as Program Director of NEXT as well as co-chair of Interaction 16. His projects, thoughts and other antics have been featured in Forbes, New York Times, The Guardian, ZDF, ZEIT and many others. As Founder and Head of hub:raum, Peter Borschers is responsible for building up and running hub:raum. His professional background combines nicely both corporate and entrepreneurial activities: Peter Borchers has built up the Entrepreneurs Program at Deutsche Telekom AG. In this role he has discovered and helped building and growing companies such as wahwah.fm. Before that, he co-founded and managed an innovation accelerator for Deutsche Telekom (T-Innovations) as well as his own internet startup (everseven). Since the mid-90s, he also works as a consultant to both startups and global corporations. Peter Borchers has studied in Vienna, Augsburg and Paris and he holds a degree in business administration. He likes doing things that make sense. Josef Brunner has a successful track record of starting and growing companies, beginning at age 16 when he founded one of the first unified threat management systems. After selling the company to Azlan (now Techdata), Brunner remained to lead the business as head of security. In 2004, Brunner founded Bastille Networks, a company focused on proactive security prevention and monitoring, then sold its main assets to Integralis (now part of NTT Telecom) in 2007. His last startup, JouleX, was acquired by Cisco for 107m in cash in June 2013. Through his venture company, AFT Ventures, Brunner is actively investing in young startups. He is also serving as Cisco Systems Inc.´s Chief Architect for IoT and Energy. Agnes Hwa-Yue Chen is Representative at the Representative Office of Taiwan in Berlin since June 2013. Prior to this appointment, she has covered many roles as a diplomatic and consular officer. She was Representative at the Taipei Representative Office in Greece (2011-13), Deputy Director General of the Bureau of Consular Affairs at the Ministry of Foreign Affairs (2008-11), Director General of the Taipei Representative Office in Hamburg (2001-07), Division Director of the Bureau of Consular Affairs at the Ministry of Foreign Affairs (1996-2000), Senior Staff and then Division Director of the Taipei Representative Office in Bonn (1990-96), Section Chief at the Department of General Affairs of the Ministry of Foreign Affairs (1987-90), Desk Officer and then Specialist at Department of European Affairs of the Ministry of Foreign Affairs (1976-87). Anges Hwa-Yue Chen is also Honorary Vice President of the Taiwan-German Jurists Association, and Honorary Council Member of the Chinese-German Cultural and Economic Association in Taipei. General manager of Metalligence Technology Corp.
Born in Taiwan and raised in the San Francisco bay area, C. J. is a technology evangelist with almost 20 years of successful track records involving several startup companies in the SF bay area and Taiwan - incl. Diba (acquired by SUN in 1997), Promatory (acquired by Nortel in 2001), GenieNRM (industry leader in network traffic analysis), and Commtiva Technology (industry frontman in M2M/IoT services). Currently, C. J. is the General Manager of Metalligence Technology Corp., overseeing the day-to-day operations and business executions to ensure the successful delivery of products and services to customers and partners. As the Manager of the Center of Industry Accelerator & Patent Strategy at the National Chiao Tung University in Taiwan, Morris Chern is currently managing the “YESer Program”, a major accelerator program for seed to early stage startups that have the potential to expand globally. Morris Chern has many years of experience in helping entrepreneurs, students, startups, and SMEs to grow and accelerate with local corporations, incubators, venture capital firms and government projects. For his passion for bringing all kinds of resources and supports, he likes to think of himself as the ´Best Wingman´. The ExA–Summit´s moderator Geraldine de Bastion is an acknowledged expert in ICT and new media for development. Based in Berlin, she advises state organizations such as the German Federal Ministry for Economic Cooperation and Development and the Deutsche Gesellschaft für Internationale Zusammenarbeit. She is a dedicated digital activist, working with bloggers and fellow activists from around the world. Her public engagements also include working as an independent curator and moderator for international events such as re:publica and Transmediale. Geraldine de Bastion´s commitments and achievements have been acknowledged also through honorary appointments, such as Head of Board at the Digitale Gesellschaft NGO. Jörn Eichler heads the department for Secure Software Engineering at the Fraunhofer Institute for Applied and Integrated Security in Munich and Berlin (Fraunhofer AISEC). His current research focuses on the secure lifecycle of heterogeneous and distributed (embedded) ICT systems. He has a strong track record in the analysis and optimization of processes, methods, and tools to fortify the security of (digital) products for international clients. Latest focus industries include the automotive and automation industry. Prior his time at Fraunhofer, he worked several years as developer, analyst, and project manager within international software development and enterprise application integration projects. His entrepreneurial background stems from his time as co-founder and manager of an internet startup in Berlin. Markus Fuhrmann studied biochemistry and genetics in Vienna and at the singularity university at NASA Ames Research Campus. He has 14+ years of experience in setting up companies, particularly in the internet and life sciences sector. He benefits from his extensive global network of companies, startups and investors. The milestones in his career are as follows. In 2001, he founded his first company in the area of online multi-player games. In 2004, he co-founded Echoton Entertainment. In 2008, he co-founded the Shangai-based incubator Web2Asia, as well as several other international startups, incl. Mjam, the leading food ordering service in Austria. In 2010, he started Lieferheld. In 2011, he co-founded Delivery Hero GmbH (amongst Germany's top 3 fastest growing startups in 2014). Since 2011, he is Partner at Team Europe Ventures GmbH, focusing on the development of new companies. In 2014, he joined Alchemy, a group of entrepreneurs and internet professionals supporting founders to rapidly prototype business ideas. He also serves as an advisor to the AXA Global Innovation Campus. Prof. Gunnar Graef is a French-German entrepreneur. He is one of the pioneers of the mobile internet in France. He founded and co-founded indexmultimedia (index Corp., Japan), DHL Globalmail (Deutsche Post AG, Germany) and Airtag in France. He is Founder and Chairman of Graef & Co. and CEO of Deutsche Ventures. Graef is a Honorary Professor at ESCP Europe in Paris, the World’s first Business School (est. in 1819) and Visiting Professor at CFVG in Vietnam. He is a senior advisor to politicians and the management board of different companies and organizations in Europe and Asia. In Berlin, he is one of the anchors of the startup acceleration ecosystems contributing to the development of the accelerators Startupboocamp, Hubraum, AS Plug and Play and Unternehmerschule. Prof. Graef actively supports different social and philantropic activities with a particular focus on Education. In Berlin, he is on the advisory board of Betterplace.org and a „Responsible Leader“ of the BMW Foundation. Gunnar Graef studied Mechanical Engineering and Robotics at TU Berlin and Shanghai Jiao Tong University. He holds also a MBA from EAP European School of Management. He also studied at the prestigious Ecole Nationale d’Administration (ENA) in France. rafi Haladjian is a serial entrepreneur and a pioneer of the IoT. A semiologist by training, he accidentally stumbled upon the world of networked devices and online services 25+ years ago. From Minitel (the French precursor of the Web) in the 80s, to the very first internet company in France (FranceNet) in the 90s, to Ozone (the community-based Wi-Fi rooftop mesh network of Paris), rafi Haladjian founded 15+ companies. In 2003, he created Violet, an IoT pioneer company, producing Nabaztag, a programmable wireless rabbit and first smart object. Since then, he has been determined to push back the frontiers of today´s IoT: from simple connectivity towards a world of smart sensing devices. rafi Haladjian’s latest brainchild, the Paris-based company Sen.se, operates a platform with the capacity to collect data in real time from any source, more specifically from smart objects. Sen.se also develops a new generation of smart objects, such as Mother & the Motion Cookies. Knut Hechtfischer is the Co-Founder and CEO of Ubitricity Gesellschaft für verteilte Energiesysteme mbH (2008), a Berlin-based company enabling a cost-efficient infrastructure for ubiquitous smart charging. The company applies the logic of mobile telecommunication to the energy sector by linking energy services to a mobile device, setting up what they call “the Internet of Energy Things”. In 2014, Ubitricity was named in the prestigious Global Cleantech 100 / Top 10 Europe + Israel, a list recognizing the most innovative and promising ideas in cleantech. Knut Hechtfischer is a visionary entrepreneur, devoted to combining his intuition for new business models, services and products with his fascination for renewable energies. René Herzer is one of the most long-lived protagonists of the digital scene in Berlin. He founded one of the first interactive agencies in Germany. His current engagements with the new generation internet include the foundation of MaketechX, a Berlin-based platform for makers (backed by Red Bull). Through MaketechX, René Herzer and his wife Lizzy support the creative ideas of talented makers who want to develop “tech things that matter”, also creating partnerships with other organizations to push the projects beyond the prototyping process. A highly-connected supporter of early stage teams, René Herzer has affirmed that great ideas only grow by intelligent collaboration, meaningful education and solid networking. Simon Höher is an important member of the Berlin maker scene. His many activities include the organisation of ThingsCon, a meeting point for hardware entrepreneurs who want to take the next step towards business implementation. Simon Höher is also the Co-founder of Polymer, a collaborative network for HW professionals. Previously, he founded knowable, a tool to work on HW online. Global innovative hubs are his perfect environment. Facilitating communities and projects that explore technology & tech culture worldwide is his long-standing interest. He was an active member of the “Global Innovation Lounge” at the German re:publica conference on internet & society, showcasing innovative tech projects from Africa, Latin America, and Asia. Rainer Horn is the Managing Partner at SpaceTec Capital Partners GmbH, an investment and advisory firm specialised in space applications, security and mobility and with a long track record in working with East Asia. SpaceTec works with European institutions on high-tech strategies and engages in startups as investor and coach, accredited from leading seed funds. Rainer Horn is a member of advisory boards of start-ups and the European Commission’s Galileo Programme. SpaceTec’s EU-funded initiative GNSS.asia drives industrial cooperation across continents in the navigation sector with regular events on internet of things and smart cities in Europe and Asia. Prior to SpaceTec he was a Finance Director at Booz Allen Hamilton and leader of the Space Services and Telematics Practice. Dr.-Ing. Liang-Han Hsieh is one of the Industrial Technology Research Institute (ITRI)´s overseas representatives since 1996. In 1995, he was invited to be overseas consultant for ITRI´s Mechanical Industry Research Laboratories. The following year, he was authorized by ITRI to build up the Western Europe Office. Since 1997, he has been leading ITRI’s operations in Europe and the CIS (ITRI Moscow Office) countries. From 2006 to 2009, he was appointed as General Director of the International Business Center (IBC) to design and supervise ITRI’s overall operations outside of Taiwan. While at IBC/ITRI, Dr. Hsieh acted on behalf of Taiwan in Asia-Pacific Economic Cooperation´s issues. Since 2008, he has been leading from Europe the Program “Facilitating Taiwan’s Industrial Participation in European Research Innovation”, which is supported by the Ministry of Economic Affairs of Taiwan. Before joining ITRI, Dr. Hsieh covered leading roles within the Fraunhofer-Gesellschaft. He has also been working for the German Federal Ministry for Research and Technology and within EU Framework Programs. Angel Investor, and Founder and CEO of Strategic Planning Management Inc. and Richark Asset Management Inc.
David C. Y. Huang is the Founder and CEO of SPMI (Strategic Planning Management Inc.) and Richark Asset Management Inc. He has invested in over 50 companies in Taiwan, Shanghai and US. In addition, his team is managing over 300 properties from Taiwan, New Zealand, and other regions in Asia. He has expertise in helping foreign companies to set up R&D centers in Taiwan, and he has been actively involved as an Angel Investor in Asia. Prof. Hank C. Y. Huang is Director of the Center of Industry Accelerator & Patent Strategy, Associate Dean of the College of Electrical and Computer Engineering, and Professor at the Department of Electronics Engineering at the National Chiao Tung University, Taiwan. He is also Chairman of the Chinese Business Innovation Association. With 10+ of experience in business incubation and technology transfer, he is the creator of the IP Alliance (2013) and the Asia Accelerator Network Association (2014). Prof. Hank Huang is one of the key figures behind the development of the startup ecosystem in Taiwan. Roger Huang is the Head of Strategic Planning and Virtual Incubation of the Committee of Communications Industry Development (CoCID). Established in 2003, CoCID is a government agency for the promotion of the general affairs of the communication industry, aimed at fostering industrial cooperation, business opportunities, and innovative applications. Roger Huang and his team are responsible for formulating the development strategy and coordinating the incubation resources for the startups. Previously, Roger Huang was the Chief Analyst of Mobile Communication at DIGITIMES for 6 years. In addition to conducting industry analysis, he also served as Strategic Planning Consultant for governmental institutions and enterprises. Torsten Jensen is the Coordinator of the Hardware Startups cluster of the Bundesverband Deutscher Startups, set up in 2014. The BVDS is an association promoting the awareness and development of the German startup culture and developing political agendas relevant to the local startup ecosystem. Torsten Jensen is engaged with Berlin tech culture not only as an online communication strategist (at ProcMaS Consulting since 2011), but also as an entrepreneur. He is the Co-founder and CEO of Asandoo (2013), a startup (pioneer in Beacon technology) aiming to improve the connection of online & offline world by developing IoT products. A digital native with a passion for communication, Torsten Jensen also lectures on online trends and new business models. Masoud Kamali is the Founder and CEO of Berlin-based WestTech Ventures GmbH. He is also the Founder of the S&S Media Group. He is an international entrepreneur at heart and has built the media group from scratch in 1995. With his fine sense for discovering new trends, he played a big role in drawing public attention to new technologies and new trends. His publishing house has offices in Frankfurt am Main, Potsdam, London, and Berlin and organizes tech conferences in Germany and the UK. 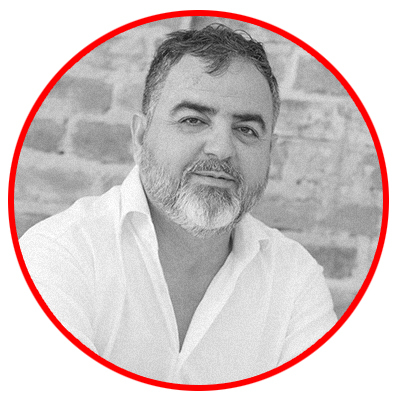 As a magazines, books and online portals´ publisher and a conference organizer (covering major technology topics, from Java and .NET to web development and mobile technologies), Masoud Kamali is one Germany´s most influential figures in international tech. He studied computer science and philosophy in Frankfurt am Main, lived and worked in Singapore and the Silicon Valley, and has recently moved with his family to Berlin. Markus Kamrad heads the Politics and Communications division at Joschka Fischer & Company GmbH (JF&C). He advises primarily on political and social challenges. One of his core consulting competencies is digitization and digital markets. JF&C maintains a longstanding formal strategic partnership with the Albright Stonebridge Group in Washington, D.C. Markus Kamrad studied Economics and trained as a business journalist with various publications such as Capital, Impulse, and Financial Times Germany. In addition, he served as Press Secretary for the Hamburg State Government. Prior to that, he gained extensive experience in the fields of media and politics during his many years as spokesperson for the Green Party federal parliamentary group in Berlin. The Fraunhofer-Gesellschaft is Europe´s largest application-oriented research organization. Fraunhofer FOKUS aims at providing interoperable solutions for Smart Cities, and its Competence Center FAME develops future web technologies. Robert Kleinfeld is Senior Project Manager at FAME. He is manager and researcher for multiscreen applications in an international, multi-cultural environment. He has a long-standing leadership and strong track record in international project activities in multiscreen solutions for Web (responsive), mobile apps (Android, iOS, hybrid) and TV portals (Web TV, HbbTV, Smart TV Alliance), software and service development, cloud computing, technology scouting & consulting. He has experience in research and product development projects as a lead scientist together with various international partners. Christoph Koch is a Berlin-based journalist, author and public speaker. As a reporter he writes for many of Germany’s most interesting and prestigious magazines and newspapers. His writing focuses mostly, but by no means exclusively, on tech and business subjects. He has published a handful of books with subjects ranging from the Quantified Self movement to trying to live completely offline for a while. As a speaker he has given keynotes and talks for companies like Nokia Networks, Bertelsmann, Kraft Foods or Ergo and institutions like the German Ministry of Health or The Federal Agency for Civic Education. Horst Leonberger is Senior Vice President of the Deutsche Telekom’s Strategic Area Connected Car, which addresses the automotive industries’ challenges for online services. After holding several posts in the ITC, in 1994 he joined Deutsche Telekom (DT) as Senior Key Account Manager, later taking over as Global Account Executive (1999). With the launch of DT´s T-Systems business in 2000 (today, one of the biggest European service companies, serving Daimler and Volkswagen amongst others) he became responsible for the business´ global scale, and headed up the launch of T-Systems in China and Japan. Since 2010, he has been leading all DT´s activities in the area of Connected Car. Horst Leonberger has been announced as one of the 3 top managers for the new strategic growth area of “Intelligent Networks” within DT (2010). Sharon Shih-Yuan Li is the Senior Director of the Sales Department at Chunghwa Telecom Co., Ltd. (CHT). As the largest integrated telecom carrier in Taiwan, providing fixed, mobile, and data communication services, CHT has a workforce of more than 23,000 employees. CHT hopes to be able to develop various intricate IOT services through the cross-field and cross-industry cooperative mechanism, thereby creating a vivacious, intelligent metropolis for individuals, families and businesses. Sharon Shih-Yuan Li is responsible for the product planning of ICT business services, including Cloud Computing, IDC, Intelligent Surveillance, Smart Home, Intelligent Energy Saving, Intelligent Fleet Management, Intelligent Healthcare, and Enterprise Mobile Solution products. Prior to this appointment, she worked 20+ years for the R&D Department of Intelligent Energy Saving and Integrated Network Management at the Chunghwa Telecom Laboratories. Dr. Kuen-Rong Lo is the IoT Laboratory Managing Director at the Telecommunication Laboratories of Chunghwa Telecom Co., Ltd. He is responsible for the ITS (Intelligent Transport Systems) technologies and related service systems, the iEN (intelligent Energy saving Network) technologies and related service systems, the Smart Building Services, eHome Services, and other IOT systems related technologies. From 1984 to 1999, Kuen-Rong Lo was a Senior Researcher, Division Project Leader, and then Project Manager at the Telecommunication Laboratories. There, he was involved in designing ISDN PABX, ISDN Multiplexing, ISDN PRA Testing systems, and wireless systems for Chunghwa Telecom. From 1999 to 2009, he led the wireless value-added terminal and services project. From 2009, he served as Project Manager of ITS/Telematics project. Kuen-Rong Lo holds a PhD degree in Electronic Engineering from the National Chiao Tung University, Taiwan. Dr Christian Lüdtke's experience is in business development and investment. He was employed by the Bertelsmann Group for 10+ years and, among other things, brought the venture capital arm of BDMI into being. Most recently, he directed the $100 million dollar innovation fund of American publisher Houghton Mifflin Harcourt. Together with Philipp Depiereux and Philipp Herrmann, he co-founded etventure GmbH, an innovation company that helps business leaders to define future-proof strategies and to effectively execute digital businesses. etventure's activities include corporate consulting, executing digital transformation projects with large enterprises, startup building, innovation projects with public partners such as the EU-commissioned accelerator EuropeanPioneers, and executive education offered by the Berlin School of Digital Business. Christophe F. Maire is the Founder and CEO of Atlantic Labs (Atlantic Internet GmbH), a Berlin-based “company laboratory” dedicated to the creation of innovative digital companies. From Atlantic Labs, MONOQI and Medigo have emerged, amongst others. With 18+ years of cross-continental experience as a founder and CEO of technology ventures, Christophe Maire has an outstanding record of farsighted investments. He was involved in Brands4Friends (eBay) and Readmill (Dropbox) as an angel investor. He founded gate5 (sold to Nokia, then developed into HERE, a worldwide leader navigation software) and Plazes.com (also sold to Nokia). He is on the board of Soundcloud and EyeEm. Named best “European Seed investor” by Techcrunch in 2011 and 2012, when it comes to building promising lean startups and enhancing talented entrepreneurs in Berlin, Christophe Marie is undoubtedly someone who has a voice in it. Gabriel Matuschka is a Principal and started working with Partech Ventures in 2012, opening the Berlin office. His focus is on consumer web, adtech, fintech and SaaS in Europe. Prior to joining Partech, he worked with multiple startups in Berlin and was co-founder and CEO of TripHunter, which was acquired by Partech funded brands4friends (later sold to eBay) in 2010. Before TripHunter, he worked as a consultant in IBM’s European media and telecommunications practice for two years. Gabriel Matuschka holds an MA in Business Administration from Ludwig-Maximilians-University, a degree in Technology Management from CDTM (Technical University of Munich) and was a visiting student in the MBA program of the Hong Kong University of Science and Technology (HKUST). Gabriel Matuschka is the founder and co-organizer of the bimonthly Berlin Tech Meetup, a group of more than 3,500 engineers and product people in Berlin, and a frequent speaker at technology conferences. Founder and Chairman of EBM Technologies Inc.
William Pan is the Founder and Chairman of EBM Technologies Inc., focusing on digital imaging management and information systems for the healthcare industry. Over the years, EBM has assisted major healthcare institutions in Taiwan, China, Japan, and Thailand in digitalising their medical images. In recent years, William Pan has been devoting to the applications of mobile health, including mobile healthcare for indigenous people and remote areas. William is also actively participating in the innovation of new medical applications for the AOP (Acer Open Platform). Jonas Pauly is a central figure in the hardware startup community in Berlin. He is the Managing Director of HARDWARE.co, a global on-line and off-line community and accelerator of entrepreneurs, industry professionals and makers who want to create innovative hardware products and business. In his steering role, Jonas Pauly acts as a networking hub to connect people in Berlin with people from the international hardware scene. Jonas Pauly's background includes a degree in Business Psychology (BA) and European Business (MA and MSc) from the ESCP Europe. He consistently strives to connect people and provide creatives with the resources they need to build, manufacture and distribute cutting edge hardware. Dr. René Pompl is a Senior Innovator at Siemens Technology to Business Center (TTB). Located in Berkeley, Shanghai and Munich, TTB practices “outside-in” innovation for Siemens AG, seeking out the latest technology innovations from startup companies, individual inventors, universities and research labs. Successful projects result in new or enhanced Siemens products, entirely new Siemens businesses, or new independent partner companies that work with Siemens. Prior to joining TTB at the Munich office, René was working on innovations mainly in Data Analytics and MedTech including co-founding his own startup. As Wistron NeWeb Corporation´s Vice President for Europe, Marco Antonio Romero-Rodriguez leads the expansion strategy and the teams responsible for the area. He has worked on innovation and product strategy for large telcos across the US, Latin America, and Europe. Before joining WNC, he headed up the Digital Home global teams in Telefonica as well as the M2M product initiatives. Passionate for developing new products and initiatives in the early days of internet, he launched one of the first data centres in the Americas, as well as the first telco Smart Home platform in Europe. Keen on wearables and the connected world, he has been a regular speaker at events both in Latin America in Europe, raising the awareness of how the connected world benefits consumers. Originally from Mexico, he now resides in the UK. Torsten Schmale, PhD in Computer Science, is a successful serial entrepreneur. His latest endeavour is Doc Cirrus, a hybrid cloud solution supporting doctors and medical staff in their interactions with colleagues and patients. Prior to setting up Doc Cirrus in 2012, Torsten Schmale founded Berlin-based inubit AG, which he sold to the Robert Bosch Group in 2011 as a market and technology leader in the field of BPM (Business Process Management) software. Today, inubit’s main technology and products build the basis for Bosch’s IoT Suite. Beyond his current core activity, Torsten Schmale is active as an angel investor. Armin G. Schmidt is a proven entrepreneur and executive leader in the field of connected cloud solutions and hardware devices. Based in Berlin and Taipei, he has a proven strong track record in the planning and execution of innovative solutions in this industry. As CEO of ATS Advanced Telematic Systems GmbH, he is now focusing on providing next generation telematic software technology for the connected automotive industry. Prior to founding ATS, Armin Schmidt was founder and CEO of Aupeo, a leading automotive audio technology provider, which was acquired by Panasonic in 2013. Altogether, throughout his career, he served for 15 years in multiple positions at leading innovative companies in Asia, the US, and Europe. Dr. Gerhard Schmidt is an experienced technology officer and the former CTO and Vice President Research and Advanced Engineering at Ford Motor Company. Before his retirement, he led Ford's worldwide research organization in Michigan and Germany for 10 years, overseeing the planning, development and implementation of the company’s global technology objectives. He served (amongst other roles) as a member of the Board of Directors of the Automotive Fuel Cell Corporation, as the Chair of the Ford-MIT Alliance, in the Honorary Committee of the International Federation of Automotive Engineering Societies, in the University of Michigan Advisory Council and in the German American Chamber of Commerce. In 2007-8, he held Advisory Professorships at the Nanjing University of Aeronautics and Astronautics and the Chongqing University (China). Prior to Ford, Gerhard Schmidt spent 21 years at BMW AG, 10 years as senior Vice President Powertrain Development. Currently, he serves in the Advisory Board at Getrag Transmissions and chairs the Board of the Advanced Propulsion Center UK. Dr. Ulrich Schmitz is the Managing Director of Axel Springer Digital Ventures GmbH. Founded in 1946, Axel Springer is one of the largest media companies in Europe. The company has a broad innovation and digitisation strategy, which is based on organic growth and acquisitions. Ulrich Schmitz's responsibilities include technology management and the identification of new business models. Prof. Dr. Peter J. Sher is the Chief Operating Officer at the National Applied Research Laboratories (NARLabs). Founded in 2003, NARLabs is a nonprofit organization overseen by the Taiwanese Ministry of Science and Technology, which strives to establish R&D platforms, support academic research, promote frontier science and technology, foster high-tech manpower, and provide academic researchers with a superior research environment. Besides his role at NARLabs, Peter Sher is also Distinguished Professor at the Department of International Business Studies & the Department of Information Management at National Chi Nan University (Taiwan) and the Director of the Research Center for Asia-Pacific Cultural and Creative Industry. His broad professional experiences include appointments such as Director of the Entrepreneur Incubator at National Chi Nan University, and Head of Patent Examination at the Intellectual Property Office of the Ministry of Economic Affairs. Since 2014, Maverick Shih has served as the president of Acer’s BYOC and Tablet Business Group. Shih joined ALi Microelectronics Corp (US) as an engineer in 2002, specializing in multimedia signal processing technology development. At ALi he was also in charge of the academic program with the University of Southern California. In 2004 Shih became the CEO of his startup company, MAVs Lab Inc., specializing in IC design and multimedia research and development. He then joined EgisTec (2008) as vice chairman, focusing on tablet PC software development. In 2011 Shih joined Acer as special assistant to the president of the Cloud Technology Business Group. In late 2013, Acer´s Cloud Technology Business Group merged with the tablet PC business to form the new BYOC and Tablet PC Business Group. As president of this business group, Shih is leading the development of Acer apps for end users, and building alliances with software and hardware developers to build their innovations on the Acer Open Platform (AOP), creating an IoT ecosystem. Stan Shih is Co-founder and Honorary Chairman of the Acer Inc. Shih dedicated his efforts to promoting public interests after his initial retirement from Acer at the end of 2004. In recent years, he has been publicly speaking on the Wangdao ideology in relation to organizational sustainability in modern times, and hopes to engrain its principles into Acer to reshape the corporate culture. A social entrepreneur all his life, Shih serves as the Chairman of Stans Foundation and iD SoftCapital Group. He is a former chairman and current member of the Asia Business Council, and the member of the Asian Corporate Governance Association. In 2007, Shih was a member of Taiwan’s special envoy to attend the Asia-Pacific Economic Cooperation (APEC) Economic Leaders’ Summit. In recognition of his long-term outstanding contributions, Shih received the Order of the Brilliant Star with Grand Cordon from the president of Taiwan (2011) and was honored as one of the ITRI Laureates in 2012. Shih has received numerous accolades. Time featured him in the article “60 years of Asian Heroes” for turning Taiwan into a PC-manufacturing powerhouse. Roland Sillmann is CEO at Innovations-Zentrum Berlin Management (IZBM), a managing company for innovation and business incubation, founded in Berlin in 1986 as a subsidiary of Berlin Business Development Corporation. Since 2006, IZBM has turned into a 100% subsidiary of state-owned WISTA-Management GmbH, retaining its primary goal of developing and operating as a technology, innovation and business incubation hub, supporting startups via infrastructure, networking and expertise. Currently, IZBM supports around 130 startups located in the high-tech area of Berlin Adlershof and in the creative district of Campus Charlottenburg. A graduated in Mechanical Engineering (MA) and Business Engineering (MA), Roland Sillmann is an insider of the local startup ecosystem. He has a special expertise in renewable energies and was the Founder and CEO of inventux solar technologies (one of the biggest startups in Germany) and the CTO of SchücoSolar. With 20+ years of experience from the mobile telecom and consumer industries, and multiple international assignments, Abbas Sumar has great insights and experience in the mobile devices and application eco system. He has worked closely with global and regional developers to stimulate content and applications business for device manufacturers. In his current role as Developer Relations Manager at MediaTek Labs Europe, Abbas Sumar supports the community of makers, developers and startups in the IoT and Wearables domain and help bring their ideas to market. Christian Thaler-Wolski is a partner at Paua Ventures GmbH where he focuses on European investment opportunities in the enterprise software space. He has a geographic focus on Germany, the Nordics, and Central/Eastern Europe. Prior to joining Paua Ventures, Christian Thaler-Wolski spent five years identifying investment opportunities in the internet and software space and managing the due diligence process at the leading pan-European venture capital fund Wellington Partners. Prior to joining Wellington Partners, he was on the management team of the CareerConcept AG startup as the director of business development. He also worked for five years in product sales and key account management at ORACLE, the global leader in enterprise software, where he was responsible for some of ORACLE’s largest financial services clients in Germany. Christian Thaler-Wolski has an MBA from INSEAD and an undergraduate degree in International Economics from Corvinus University Budapest and York University Toronto. Marcel Uhlemann is an entrepreneur and expert investor. He is Managing Partner at JCMB Beteiligungs VC GmbH, a private investment company from Hamburg, focusing mainly on early stage investments. JCMB invests especially on internet-based business models in the fields of education, health, e-commerce, and saas. Marcel Uhlemann’s portfolio of successful investments includes AUPEO! (exit to Panasonic) and BioConform (biomechanical bike components). Dr. Ching Hung Wang is the Managing Director of the Data Communication Business Group at Chunghwa Telecom Co., Ltd. (CHT). The Data Communications Business Group is the ISP arm of Chunghwa Telecom, Taiwan’s largest information and telecommunications service provider. Dr. Ching Hung Wang is responsible for managing the IoT products, including Intelligent Surveillance, Smart Home, and Energy Saving. Prior to this appointment, he worked for more than 20 years for Intelligent Tourism Service, Telematics Services and Intelligent Transportation Systems at the CHT Laboratories. Robert Wang is an influential executive in the field of ICT. He is General Manager of Acer´s BYOC Business group, focusing on global Cloud Computing, IoT, and Big Data integrated services. He has an impressive track record of managing and growing win-win billion dollar revenue. In 2000-2008, he gave a major contribution to the 10x growth of Acer. Robert Wang is deeply involved in the whole Asia-Pacific regional industry, esp. China and Taiwan. His engagements there are wide and diversified. They include: sitting in the jury of various ICT/App innovation contests, being a policy advisor to governmental institutions (like the Communications Industry Development Committee of the Ministry of Economic Affairs, Taiwan), serving in the review board of grants and representing Taiwan as Execution Committee Member of the Asia Pacific ICT Alliance. Dr. Simon Wang received his Ph.D. degree from Columbia University. He has 31+ years of experience in the semiconductor industry. From 1983 to 1989, he worked at Intel Corporation on flash memory technology development. From 1990 till 2006, he worked for Macronix International Co. and held various positions, including Fab director, VP of operations, VP Business Development on Embedded Flash SoC / MCU, and VP Marketing and Sales Group. Dr. Simon Wang joined TSMC in 2006 and has been responsible for the business development of memory program, digital consumer and CMOS image sensor products. Currently, he is responsible for the business development related to the fast growing IoT market. Mischa Wetzel is Senior Investment Manager and Head of Creative Industries at IBB-Beteiligungsgesellschaft mbH, a 100% subsidiary of Investitionsbank Berlin (IBB). Since its foundation in 1997, it has invested €141 million in small and medium-sized local companies. Exits include mobile navigation software company gate5 (acquired by Nokia) and the personalized Internet radio service provider AUPEO! (acquired by Panasonic). The investments are increasingly provided in consortia with international co-investors. Mischa Wetzel is a passionate investor with an entrepreneurial soul. He knows Berlin´s startup ecosystem like the back of his hand. President of ZyXEL Communications Corp.
Gordon Yang is the President of ZyXEL Communications Corporation, one of the few data communication brands in Taiwan, focusing on solutions for broadband access, commercial networking, and home connectivity. Celebrating its 25th anniversary recently, ZyXEL has delivered communication devices to more than 100 million customers in 150+ regional markets. Prior to Yang’s current post, he took on several roles in ZyXEL, including management of the product business unit at the company’s Taiwan headquarters and the regional business unit in Europe. Earlier in his career, Yang was an entrepreneur who founded two successful startups. Dr. Wolfgang Ziebart was President and CEO of Infineon Technologies AG. Prior to that, he was on the Boards of Management of car components manufacturer Continental AG. and automobile producer BMW A.G. He is the Chairman of the Supervisory Board of German wind turbine manufacturer Nordex SE and, until recently, was the Group Engineering Director of Jaguar Land Rover Ltd.
Kathleen Olstedt has been working in the field of new technologies since 2004. As a Trend Researcher for Daimler AF, she explored the mutual influence of technology and society. In 2008, she moved to the Electronic Media Management Division of Axel Springer SE, where she managed pilot projects aimed at fostering the introduction of new media technologies such as the e-reader and web radio. The continuous exchanges she had been having with the Berlin startup scene eventually led her to a position at the IBB Beteiligungsgesellschaft, where she was responsible for investments in Berlin-based startups in the field of Creative Industries. Since October 2014, Kathleen Olstedt serves as the Managing Director of the Wangdao Alliance (e.V.). Maggie Chao is Manager at ITRI, the Industrial Technology Research Institute in Hsinchu. As one of the main hubs in the innovation network in Taiwan, ITRI is actively supporting the organization of the ExA-Summit. Established in 1973, the non-profit R&D organization ITRI has played a vital role in transforming Taiwan's economy into a high-tech industry. With its workforce of 6.000 employees (1/3 PhDs), ITRI continues serving as a pioneer for industries through multidisciplinary innovation and international cooperation. Maggie Chao is the main responsible person for the cooperation project between ITRI and Wangdao Alliance. A MA-graduate in Transportation and Management at the National Chiao Tung University, Maggie Chao has been providing her competent and insightful project management´s services at ITRI since 2002. Dr. Beatrice Ferrara is a researcher in digital cultures in cross-cultural contexts, with previous experience of conference organisation and management of large-scale projects. She was Project Manager for a major EU project (2011-14) at “L’Orientale” University (Italy), where she also taught Media Theory. She has held research affiliations at international institutions, incl. ICI Berlin (2014) and Goldsmiths University of London (as the recipient of an award in 2009). She has published extensively on tech culture and digital media. She serves as Editor, Board Member and Translator for scientific journals. The ExA-Summit´s Communications Manager Eric Eitel is a consultant for tech and cultural projects. He is board member of all2gethernow, a Berlin based cultural think tank, and co-founder of Music Pool Berlin. Eric has a soft spot for breathtaking startups, tweets passionately as @alias_eitel and writes for tech and music publications.